And now, time for our fourth and final summer camp blog post! 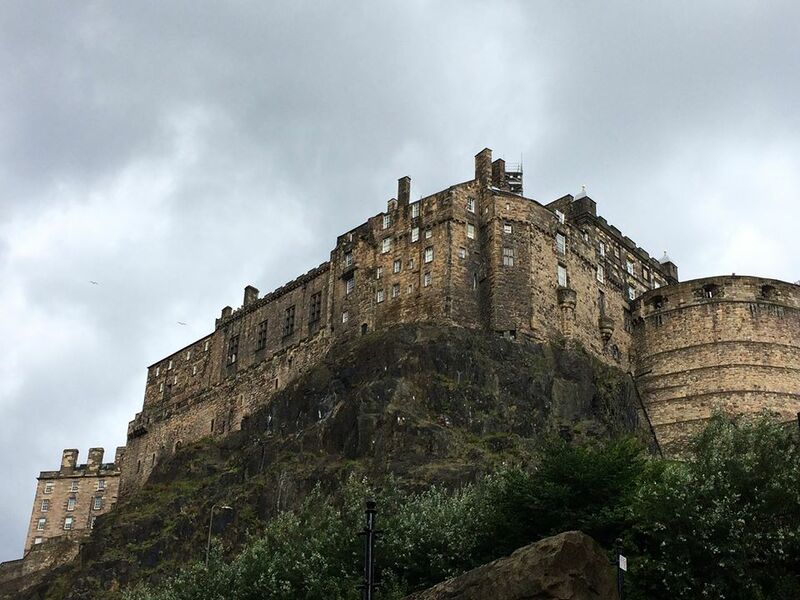 Having spent eight days roughing it in Loch Lomond, Glen Nevis, and the Cairngorms, we spent the last two days of camp in Edinburgh, appreciating the relatively better weather and the chance for some down time at the Fringe Festival. On Saturday morning we packed up for the penultimate time before we set out to our final outdoor activity, river tubing. When we arrived we were given yet another wetsuit to squeeze into, but this time a dry one! A pleasant surprise for us after the last couple of days in the sodden Cairngorms. 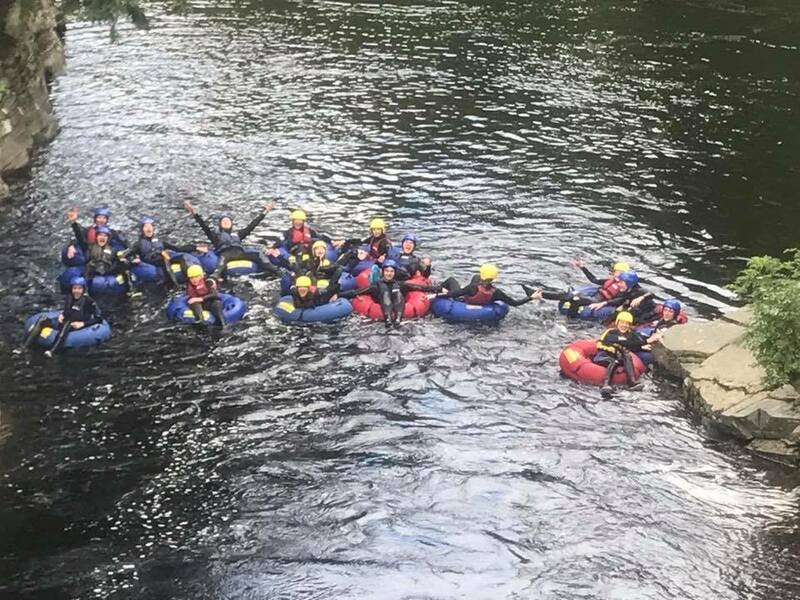 For those of you that have never experienced it, river tubing basically involves sitting in an inflatable rubber ring and floating downstream through rapids.The river was fast and enjoyable and we even got another chance to jump into the water, a throwback to the canyoning day. 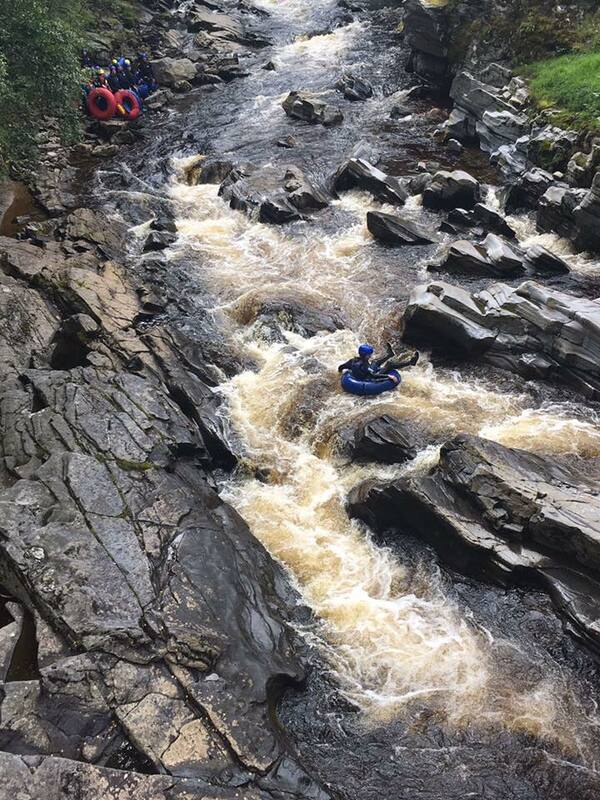 Some of the rapids were slightly more drastic than others and on the last there was a choice of routes, requiring some frantic paddling to get to the most fun one (also the one with guaranteed falling in, naturally). Following this we all attempted a group photo, hanging onto the banks by the tips of our fingers and trying to make sure everyone was facing the right way, despite still being pulled downstream by the current. After leaving the river and changing back into normal clothes we returned to Aviemore for lunch at a local chippy and a quick browse of the local outdoor shops and their summer sales (I mean, who can’t resist bargain hiking kit?). And then we drove on again, heading to our last location: Bonaly Scout Centre in Edinburgh. We arrived at our campsite where a pleasant surprise was waiting; Marlon had arranged for us to sleep inside in a hall rather than in our wet tents. The amount of relief expressed at this revelation resembled the kind of hysteria that only nine days of permanently damp kit can bring. With the sun putting in a welcome appearance, we moved quickly to lay kit out to dry before heading out to Edinburgh for dinner in a Mexican restaurant. Us civilisation-deprived Explorers were then released into central Edinburgh on what happened to be the first night of the Fringe Festival, which at that time unfortunately seemed to consist mostly of 18+ events, so we just enjoyed our time wandering around the city before heading back to camp for our last night in Scotland. The early morning was spent sorting out group kit, packing tents and cleaning cooking equipment. Soon everything was packed onto the buses and we were on our way back into Edinburgh. Another morning was spent wandering around, exploring markets and festivals across the city, before we headed to a show found by one of our Leaders, Annie. ‘The Men with Coconuts’ provided a fantastic improvised comedy show that the entire Unit can now strongly recommend. The performers used audience suggestions to map out sketches, before wrapping up with “Godzilla goes to the Disco – The Musical”, an impressive show of spontaneous musical talent. We then picked up lunch, loaded onto the buses and the long long drive home began. This drive followed the same trend as the many others, with equal parts sleeping, singing, and eating. 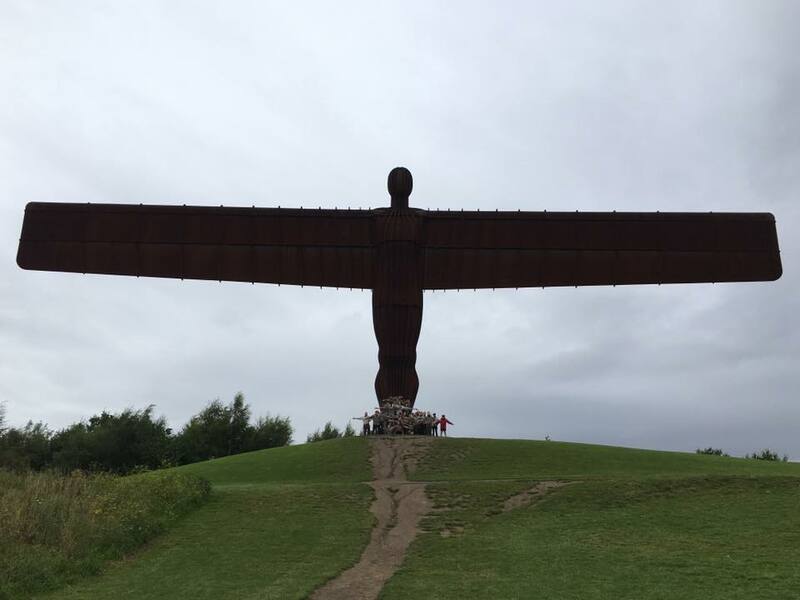 We stopped infrequently, however we did visit the Angel of the North en route for a mandatory group photo. As the hours slowly added up and the skies darkened, the minibus playlists became more and more creative, with one bus engaging in an enthusiastic ‘Lion King’ sing-a-long. 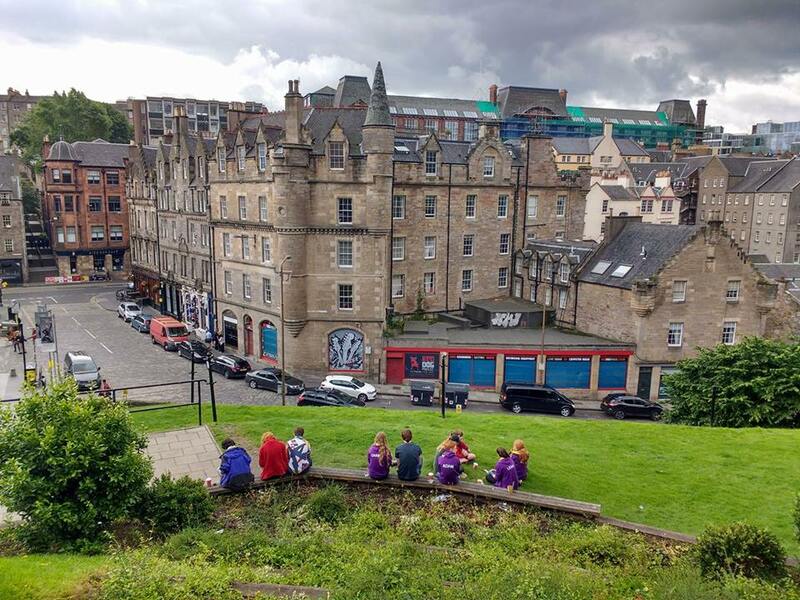 We also slowly became aware of what returning home fully entailed, and the remembrance of summer coursework and revision soon had us all pleading to turn round and head back to Scotland. 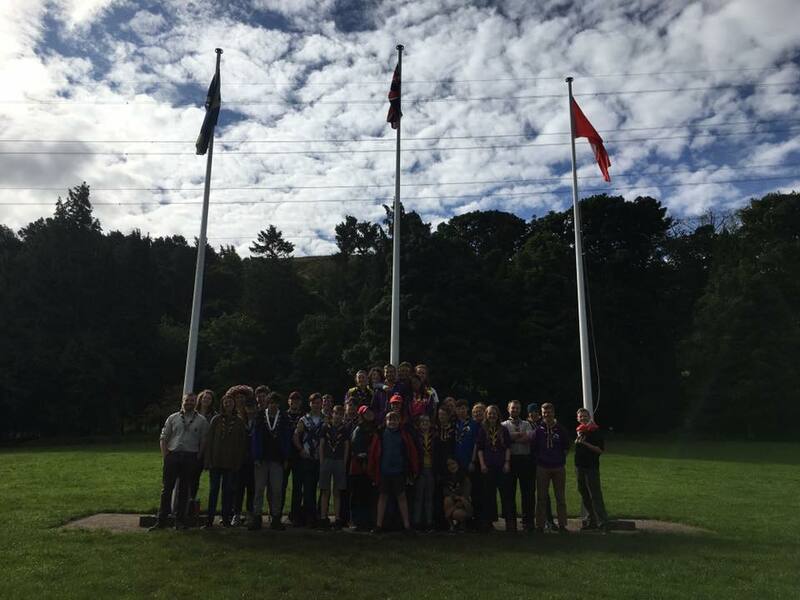 Eventually, we arrived back at the familiar gates of Scout Park, where all the kit was efficiently unpacked and, with a final farewell from the Leaders, camp was dismissed. As always with a Scout camp, several thank yous are in order. We are hugely grateful to the Team Leaders who kept camp running smoothly, to all the drivers that sped us on our way, and especially to the Leaders themselves for organising and running such an amazing camp – we certainly won’t be forgetting it for a while!